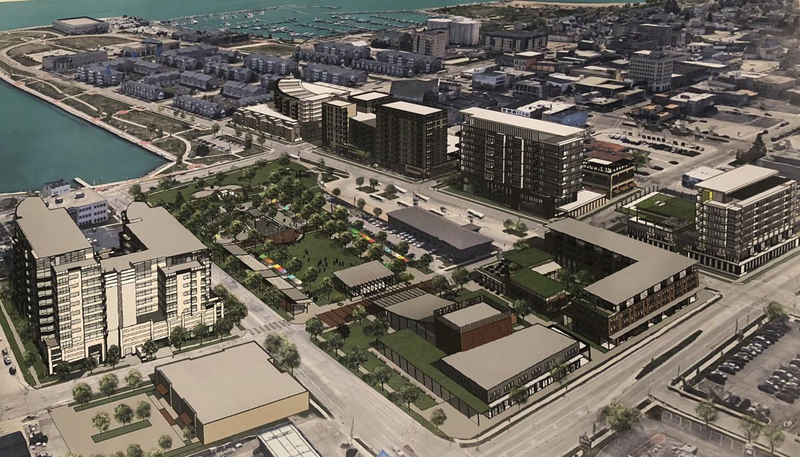 While infrastructure has been a major focus in the city of Kenosha, there is also quite a bit of development that is being looked at for 2019. Among that development is the solidifying of plans for the Downtown Vision Project. Q: I know there are a few projects a lot of people would love to know more about. What about the Downtown Vision Project? A: A major focus for this year is the downtown plan. We have developers interested. You’ll be hearing a lot more about this project in the next few months as we move forward. Again, you have to get someone on board. There is a lot of negotiations and information that has to go out to the public. If everything were to work perfectly, I would say you’d see some demolition beginning mid-to-end of (2019) and construction (in 2020). There will be at least two buildings built, one being a new city hall. Q: I know the initial plans for the Downtown Vision Project involved new green space, a performing arts center, parking structure and luxury, high-rise condominiums. How excited are you about this project? A: I think it’s going to be a real game-changer for the downtown. However, I’ll believe everything when we have a developer and everything is lined up and we have a contract. That’s when I’ll get excited. In the present time, we’re in the process. You have to go through the process to find the right developer and make sure we’re going to get what we want. Those are the things we have to do. Am I excited? Absolutely. But I’m also a practical person. I want to see it signed and dotted.